Guess that song: TV shows played by FBE Staff! 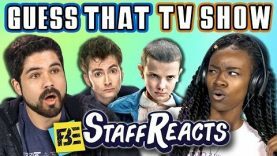 The FBE Staff play guess that song: TV Shows! Watch to see their reaction!